Terms & Conditions Apply: Valid for 12 months from date of purchase, value of voucher non transferable or refundable. 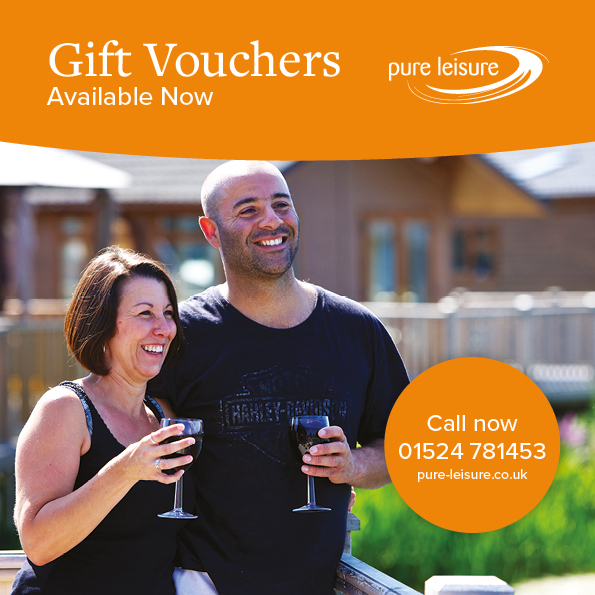 Voucher to be used against camping, Touring or accommodation on any Pure Leisure Group park. Minimum voucher value of £20. To redeem voucher please call the bookings team on 01524 781453.